Favourite Nepal meets division three experienced Tanzania today for hoping second win. Tanzania which has four players who play in English clubs were badly humiliated by Nepal’s arch rival USA in fist match. 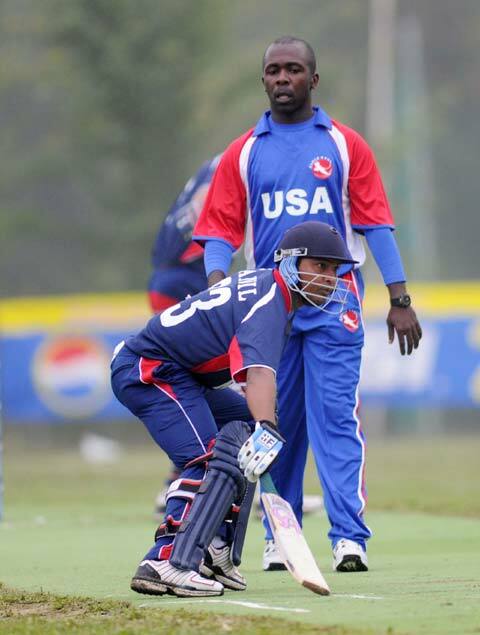 Nepal hopes to improve its batting and register second straight win, Tanzania might have learnt lesson after weak performance against USA. Nepal’s match is vital to get promoted in next division. Nepal won but batting not at par. Nepal started WCL 4 in style but batsmen failed to impress. Had Italy scored 150+ it would have been a really tough for much hyped Nepali team. In rain delayed match US won the toss and decided to field. Current status: heavy rain and match at halt. The umpires are having a chat, and the players are coming off as the rain continues to fall. The outlook isn’t great but more news for you as we get it. The rains coming down hard now and the umpires and players are pessimistic about the chances of any more play. If this match is called off today, it will be replayed from scratch on the rest day on Monday 16th August. 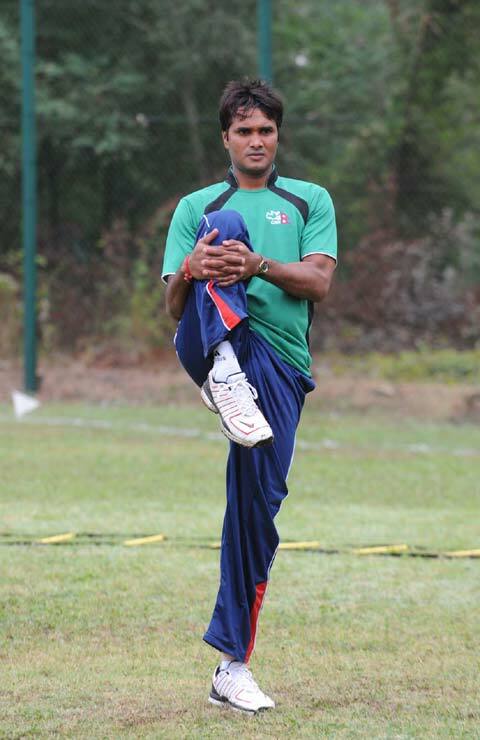 Anil Mandal, great discovery for Nepali team where batting was a serious problem. In ICC’s world cricket associates and affiliates members Nepal ranks 19th. If Nepal wins division 4 in Italy it will move 4 points ahead in 15th ranking. The ranking excludes 10 test playing nations which is topped by Australia. Are we ready for Division three in Hong Kong? Once we win title in division Four our target will be WCL division three in Hong Kong next year. Honestly speaking we can give big fight even in division three where Hong Kong, Uganda, PNG wait us. Remember we have thrashed Hong Kong many times. Do you think division three will be easier than division four? Just a note, division five in Kathmandu was much more competitive and had better teams than in division four such as Singapore, Fiji. Honestly speaking its insult for Nepal to play against Italy and Cayman Island. However win is win and I am sure no team can challenge Nepal except USA. So how do you think Nepal’s chance to qualify for division four then three? By administrator of this site.